Adam's baby and toddler scales combine durable construction with a smooth comfortable design for safely monitoring the weight of babies in paediatricians' offices, hospitals and clinics, or in the home. Our MTB digital baby scale range is ergonomically designed, simple-top-operate and easy to clean, with displays that are large and highly visible, helping to minimise reading errors. The scale's cradle includes a non-slip rubber mat for securing the baby on the weighing pan . 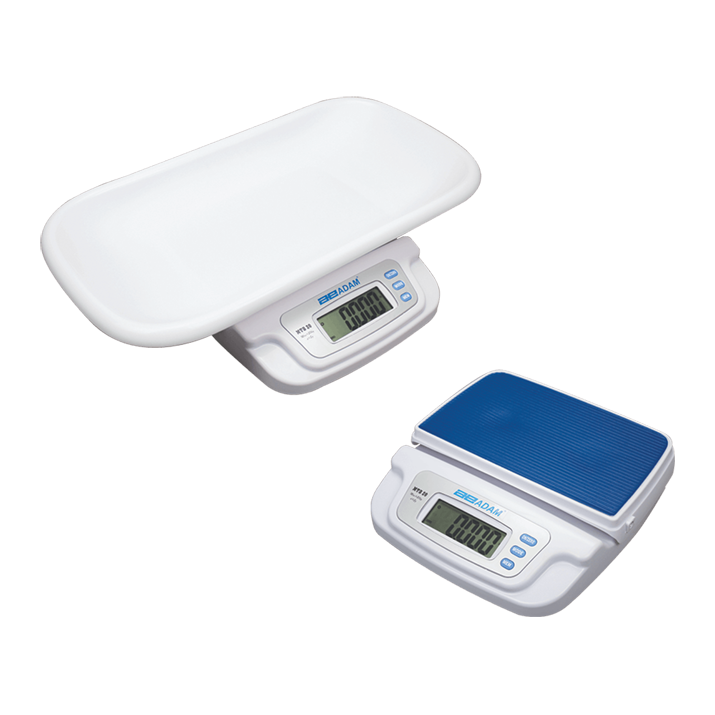 Portable and lightweight, Adam Equipment's baby and toddler scales are an excellent value option for nurses, childcare professionals and parents. Adam's MTB baby and toddler scales feature a cleverly-designed interchangeable cradle for providing comfortable support for babies as well as toddlers.